Remember that show Scare Tactics that was popular many years ago? Well Hazmat does and it wants to make sure you remember too. The film follows a TV crew who is filming a show called “Scary Antics” with the premise being that a group of friends take a unsuspecting friend into a situation that goes wrong just to watch their reaction. Unfortunately for one group of friends who decide that taking a guy who they all think is weird and already messed up turns badly once he quickly discovers that he is being tricked and then decides to throw on a miners outfit and start taking off his so called friends and the crew of the show one by one. To map the plot of this film it is almost a episode of Scare Tactics mixed with the look and feel of My Bloody Valentine. They also rely on using cameras to show the film for many scenes. Thankfully the story moves at such a rapid pace that you never get the chance to question the rip off story or the spotty camera angle they try to do. Since the movie mainly takes place inside a dark warehouse as well you can’t expect to see much of a set throughout this with it almost being like it was just filmed in a few rooms and spliced together. We also get some off screen kills in the film with a few being shown but still with little blood or gore. Overall this ends up being a indie horror movie that will be easily forgotten in the future. 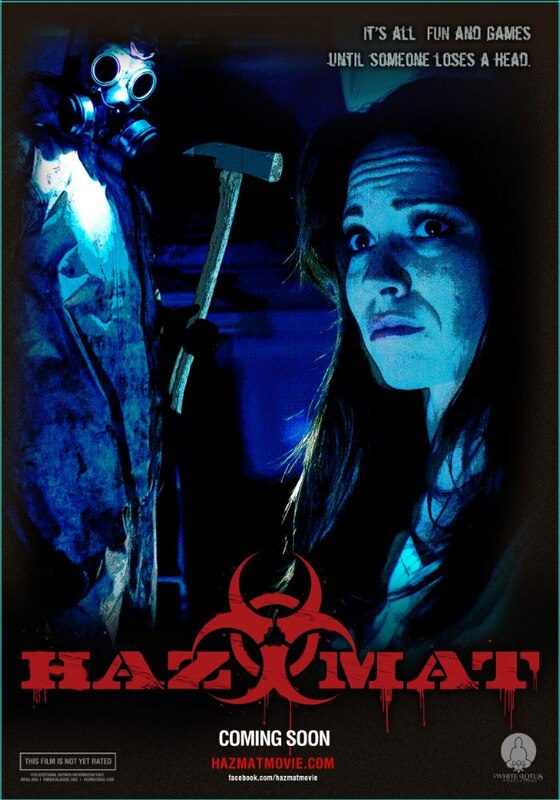 With clear inspiration from other shows and films Hazmat just doesn’t do anything to separate itself out from the league of other horror films.